Eric graduated from Wichita State University Physician Assistant Program in 1998. He went on to work at Neosho Memorial Regional Medical Center ER in SE Kansas with a census of over 10,000 visits per year for 17 years. While working full-time in the ER, he also gained experience in Urgent Care, Fast Track and ER at Wesley Medical Center. The he shifted gears to worked with Trauma/Critical Care Team at their Level 1 trauma center learning the other side of sending trauma patients and management of those critical patients. But ER medicine pulled him back and went on to Ascension/Via Christi at St Francis and St Joseph campus working along side ER physicians in high volume Emergency Departments. But he just couldn’t leave the rural and semi-rural settings, feeling a sense of responsibility and service to bring as much as he could offer facilities with less resources. He also started doing locum tenem work in SW Kansas in 2008 at a rural health clinic, hospital with attached LTCU and ER. This is where his passion for providing consistent quality, compassionate, evidence based medicine grew. He felt the pull each time he left and returned to offer these communities more than just a provider to cover the shift, he wanted the same level of care he would expect for his family living in this same community. Dr O’Donnell and Eric were friends, lived in the same Kansas town, would attend their daughter’s basketball games and would trade ER stories and realized there was a need and shared calling to offer more. Eric was a clinical preceptor for PA students from Wichita State for over 17 years, was named Preceptor of the Year in 2004 and 2013, this relationship help mentor and develop some of the finest PAs around the state. Dr O’Donnell also had an instrumental role in mentoring and teaching PAs, residents and medical students rotating and working along side him. It only made sense to organize their own medical staffing company with exceptional providers they knew and trusted to reach those seeking optimal healthcare from competent, compassionate health care providers and Integrity was born. Eric is married to Kimberly, they have 6 children combined and love each and every opportunity they have to spend quality family time together. When he isn’t with family Eric enjoys going to the gym, grilling, cooking, fishing and boating. He and Kimberly love to travel and explore new hikes and outdoor adventures. Dr. O'Donnell brings nearly 30 years of Emergency Medicine, Critical Care and Trauma experience to our Integrity Team. He also serves as a Clinical Professor at KU School of Medicine and has received numerous awards including the State and National Teacher of the Year. As an Emergency Medicine Physician in Wichita, Joseph continues his practice at a designated Trauma Center, Tertiary Care and Pediatric Hospital. Dr. O'Donnell believes in an evidenced-based approach which remains reproducible in any setting, all the while thoughtfully honoring the patient's individual needs as supreme. Upon witnessing inconsistencies in Rural Healthcare delivery, he decided to partner with Eric to form a company that could provide exclusively top-notch services to all areas of the state. The co-founders assembled a dedicated "dream team" of the most qualified clinicians in the area providing only the superior care they believe everyone deserves. Dr. O says "As a farm boy myself, we are personally committed to bringing compassionate lifesaving expertise to the bedside, no matter the location". Graduated from Kansas State University with a Bachelor of Science in Athletic Training in2008. She received her Masters of Physician Assistant Studies at Wichita State University in Wichita, Kansas in 2013. The National Commission on the Certification of Physician Assistants (NCCPA) certified Julie in 2013. Additionally, she holds certificates in ATLS, ACLS, PALS, and BLS. She is an active member of the American Academy of Physician Assistants (AAPA) and Kansas Association of Physician Assistants (KAPA). When she is not working, she enjoys spending time with her husband and 5 children. She enjoys running half and full marathons and is dedicated to helping you remain healthy and active. Mike McDonald is an emergency trained physician assistant who has provided care to over 7,500 patients in an ER setting. 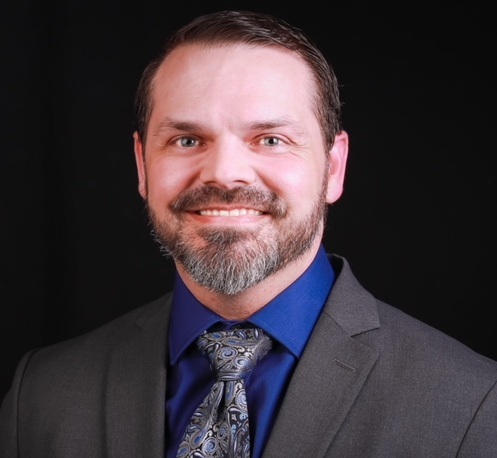 Mike graduated from Wichita State University with a Masters degree in Physician Assistant Studies (in 2013) and has a Bachelor of Arts in Business from Baker University. He has 2 boys ages 10 and 15. Other interests include sport/competition shooting, fishing, and diabetes medicine. Debra Schrag was born and raised in Winfield, Kansas. Smitten with the new concept of Pre-Hospital Emergency Care and fueled by the TV show EMERGENCY, Deb knew at a young age Emergency Medicine would be her passion. Deb became an EMT before graduating from High School and was quickly accepted into the next Emergency Mobile Intensive Care Technician (paramedic) course offered at Southwestern College in Winfield sponsored by the University of Kansas. Upon completion of the program, Deb became the youngest certified paramedic in the state and was employed by Sedgwick County Emergency Medical Services by age 19. Throughout her twelve and one-half years with EMS, Deb also became an EMT Instructor-Coordinator, teaching 13 EMT courses in 10 years throughout South Central Kansas, worked part-time as a flight medic with Kansas Air Life later to be known as EagleMed, all the while continuing her own academic pursuits as well as raising a family. In 1992, Deb completed her Nursing Degree and began working as a RN at William Newton Hospital in Winfield before being recruited by SCKMC in 1995 for the Emergency Department and Intensive Care Unit in Arkansas City. Encouraged by local physicians, Deb applied and was accepted to the Physician Assistant Program at University of North Dakota School of Medicine in Grand Forks, ND in 1998, graduating in 2000. Deb worked as a Family Practice PA in several Rural Health Clinics until Emergency and Critical Care Medicine called to her once again. She returned to the SCKMC Emergency Department, this time as an Emergency Care Provider PA in 2010 where she continues to work today with Integrity Healthcare Professionals. Deb and her husband Pete, also a paramedic for 42 years, continue to live in Arkansas City. They have 6 children and 8 grandchildren. Randy joined Integrity Health Professionals in April 2016. He brings a wealth of varied experiences with him. Randy began his medical career in 1984 as a volunteer firefighter. He served with Sumner County Fire District #9 for 18 years. He rose to the level of Lieutenant, and obtained the first Type 1 (paramedic) orders for a volunteer fire service in Kansas. He volunteered on Belle Plaine EMS and served as their Director twice. He delivered many hours of continuing education for both departments. He has lectured for various EMT, First Responder and Paramedic classes and served as a lab assistant for those classes. He earned his Paramedic certification in 1986 from the Sedgwick County Training Academy. He worked for Sedgwick County EMS for a total of 16 years. He was a Paramedic and a Paramedic/Lieutenant for several years. Randy continued his education at Friends University, Wichita, KS, where he received a Bachelor of Science with a Biology Major and a Chemistry Minor. In 1995, he started his training at Wichita State University and earned a Bachelor of Science degree as a Physician Assistant. As a Physician Assistant, since 1997, Randy has been employed with a cardiology group in Wichita, KS, Hodgeman County Hospital – Family Practice and Emergency Room, Riverside Hospital Emergency Room, Wesley Emergency Department with ESPA (Emergency Service, PA), and South Central Kanas Medical Center Emergency Department. In addition to full-time employment with Integrity Health Professionals, he is also a part-time employee under the US Department of Health and Human Services. He has served with the OK-1 DMAT (Disaster Medical Assistance Team) since 2005. He has deployed several times to national disasters, and the 2009 Presidential Inauguration for medical stand-by. He has attended multiple training classes in Anniston, Alabama. These classes covered topics of disaster management for field and hospital medical response, and biological/chemical weapons of mass destruction. He also attends meetings and training classes with Cowley County Emergency Preparedness. From the moment you seek our help, we are at your service to address, your concerns, your health, your emergency. We are here to alleviate the stress of needing unplanned, unexpected medical services. We want you to feel you have an advocate for your health by turning an unpleasant situation into a positive experience with hope and a path to healing. © 2018 Integrity Healthcare Professionals, LLC. Designed by P&P Development.